SUSANNA SOLOMON is a mother, a grandmother, a wife, and dog lover. She's been doing readings of her work around the Bay Area for more than eight years, entrancing audiences with quirky characters, compelling plots and humor. Apart from doing readings of her written work, she's in her eighteenth year of running her own electrical engineering consulting business. An East Coast native, Susanna's been in California long enough to fall in love with the open spaces and forever skies. 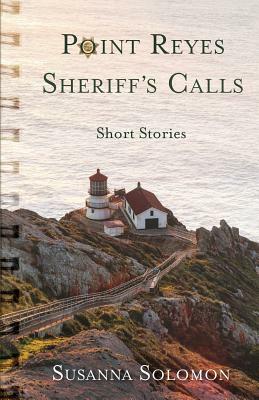 Susanna's the author of More Point Reyes Sheriff's Calls (2016) (her second collection), and the novel Montana Rhapsody, a story about a pole dancer, a farmer, and a river, published in 2018. Her work may be found online in various journals. For more about Susanna, visit www.susannasolomon.com.